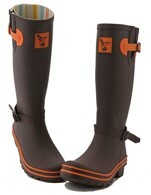 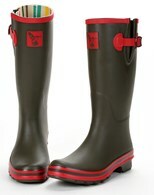 Evercreatures natural rubber wellingtons made from rubber sourced from sustainable forests. 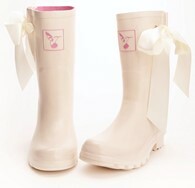 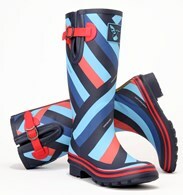 The wellies have a soft cotton lining which is coloured with a rainbow design and a soft comfortable EVA sole. 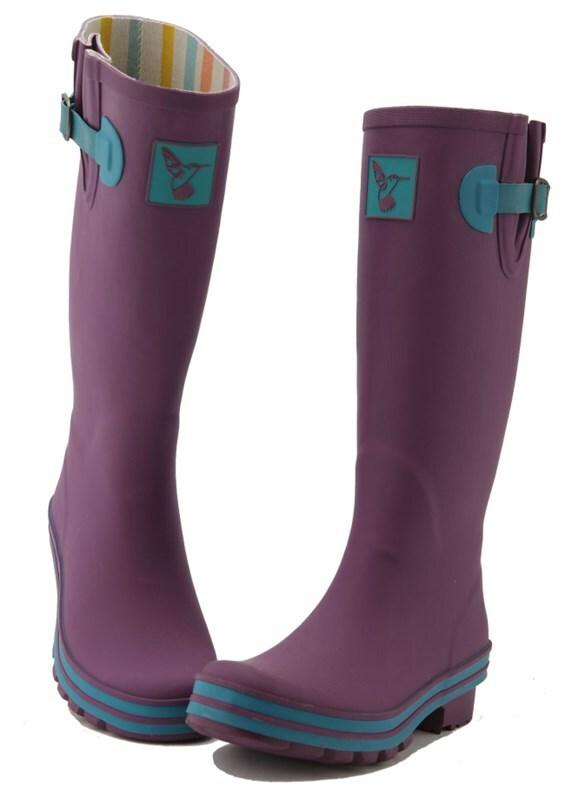 The wellington boots have a thick gripped bottom and an extendable gusset so they can fit a variety of leg shapes. 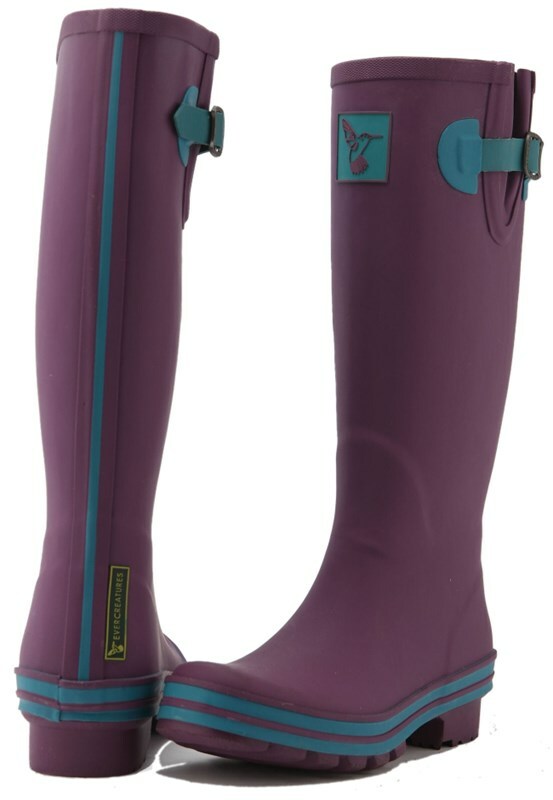 These wellies are amazing for use at muddy festivals, on farms for in the rain or snow and they are so cool they can even be worn on the high street or to work! 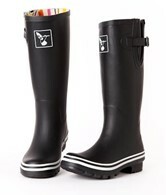 Everyone should own a pair of these! 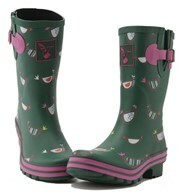 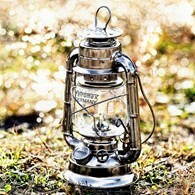 Please see our multitude of designs available, the only problem is deciding which funky colour to choose from! 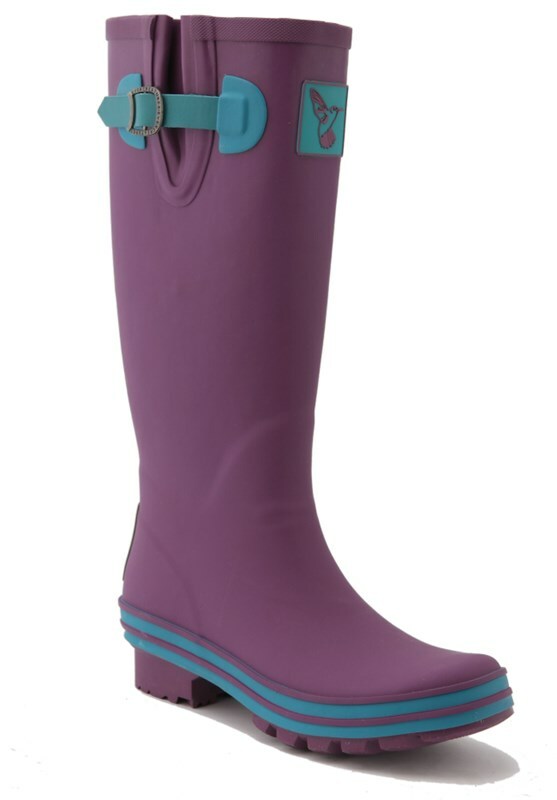 There are no reviews for Evercreatures Eggplant Ladies Wellies.